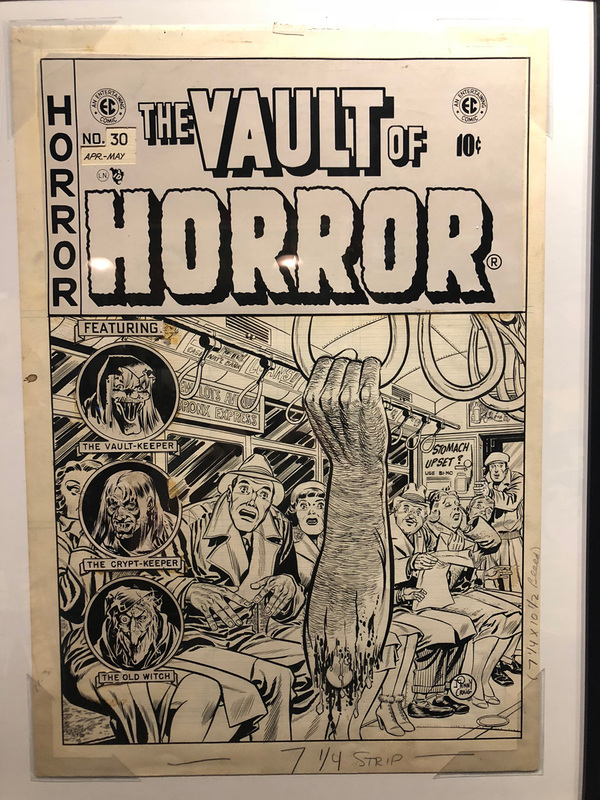 From September 5 to October 27, New York City’s Society of Illustrators held an exhibit titled Tales from the Crypt: The Revolutionary Art of MAD and EC Comics. Before the exhibit ended ComingSoon.net paid a visit, and as a special Halloween treat to our readers we have a photo collection of all the cool art that was on display. Check it out in the gallery below! RELATED: Exclusive Preview of Svengoolie Parody From MAD #4! When the Comics Code arrived Gaines first balked at censorship, eventually relented and submitted his work lest the comics not be distributed. But by 1955 it was clear that EC’s comic books were doomed and he ceased publishing all but one title – MAD. By turning this comic book into a magazine Gaines was free of the Comics Code and saw its circulation peak at more than 2 million over the next two decades. Harvey Kurtzman created MAD magazine in the 1950s as a vehicle for social commentary, for parody and to challenge the establishment. Pulitzer prize winning author and cartoonist Art Spiegelman said, “I think Harvey’s MAD was more important than pot and LSD in shaping the generation that protested the Vietnam War.” MAD gave birth to irreverent American satire and its influence is felt even today. Jerry Garcia lead guitarist of the Grateful Dead, and himself a collector of EC comics, said, “For me, the 50s were rock and roll- and EC Comics”. For the first time in New York, a gallery show and exhibition of the EC comic book art that struck fear in the hearts of arbiters of good taste will see the light of day. Featured are more than 70 large original comic book art pages by acknowledged comic art masters. In addition to the original 1950’s pen and ink black & white pages are the printed comic books, story commentaries and biographies. Titles presented include Aces High, Crime Suspenstories, Crypt of Terror, Extra!, Haunt of Fear, Frontline Combat, Impact, Piracy, MAD, Two-Fisted Tales, Tales From the Crypt, The Vault of Horror, Weird Fantasy, Weird Science, Weird Science Fantasy, MAD 3-D art and more! Award-winning artists featured include Johnny Craig, Reed Crandall, Jack Davis, Will Elder, George Evans, Al Feldstein, Frank Frazetta, Graham Ingels, B. Krigstein, Harvey Kurtzman, Joe Orlando, John Severin, Marie Severin, Angelo Torres, Al Williamson and Wally Wood. This show is curated by comic art historian and collector Rob Pistella, with special thanks to EC aficionado and collector Rob Reiner for his contribution of words, art, advice and enthusiasm. 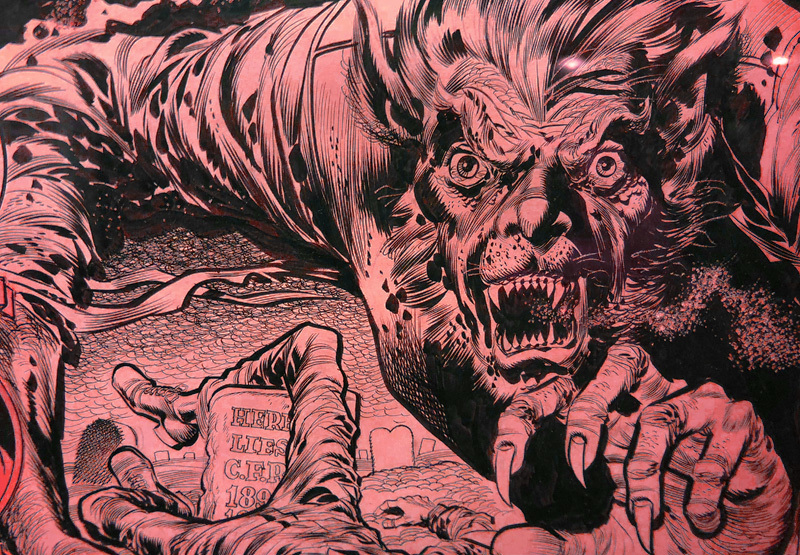 The post EC Horror Comics Art Gallery From Society of Illustrators Exhibit appeared first on ComingSoon.net.